Thank you all for the sweetest comments!! 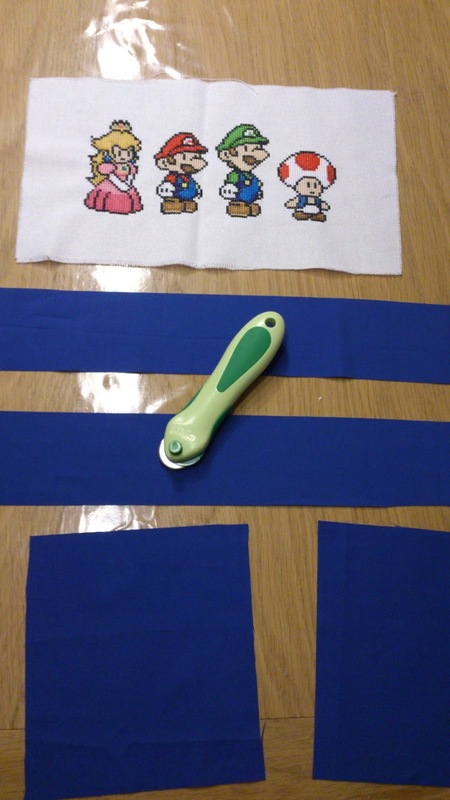 Remember that I started a Super Mario stitching piece??? 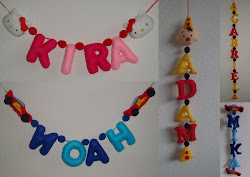 I love it, Noah loves it, and even Kira loves it.. my princes she is saying!! I bought that little green cutting blade.. 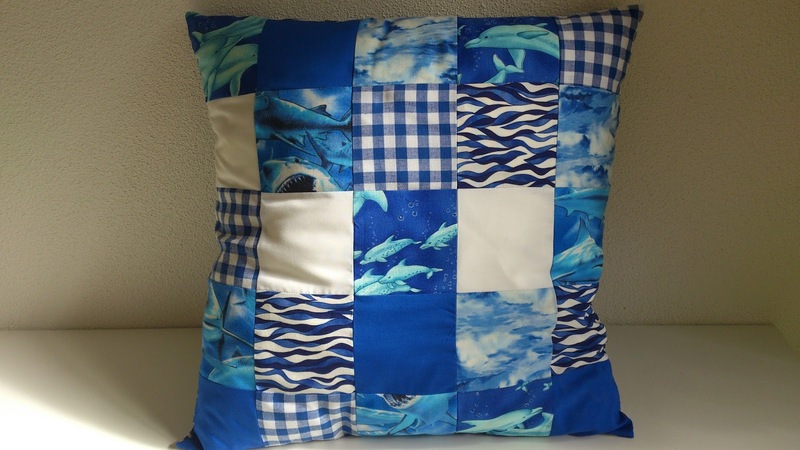 I made this pillow 2 evenings ago..
Then last night i was sorting out some fabric, and I found THE perfect fabrics for Noah..
Another pillow was getting in my mind..
See the Dolphin and Sharks??? Made a pattern and I nailed it! 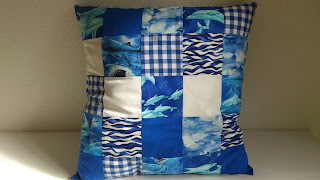 For the backing I thought this fabric would be cool..
All fabrics with blue and ocean in one pillow. I put the pillows away Noah will get them in 11 days. 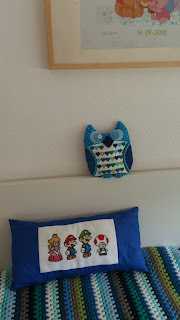 HELLUP... in 11 days' my little boy will be turning 5 years..
( for this part of his room.. I still need to finish the crochet blanket, it's only this part, and wanne make a 3th pillow, but I'm thinking of what.. I think a crochet one.. but not decided yet. Isn't that looking so Cool Boys' like?? 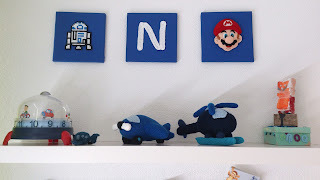 For those of you that don't know what Noah's favorite color is..
For next week I have one project in my mind.. project 5 for a boy who turns 5. Need to see then if I have enough fabric. The reason I said next week, is that I''m going on a little vacation with Kira this afternoon. With the two of us we are going totally up north of the Netherlands ( I live down south). What we al going to do you will find out next week. We will be back by Sunday. Here we are having Tropical weather this weekend.. I'm wishing you all a wonderfull weekend. Look lovely and really boyish! 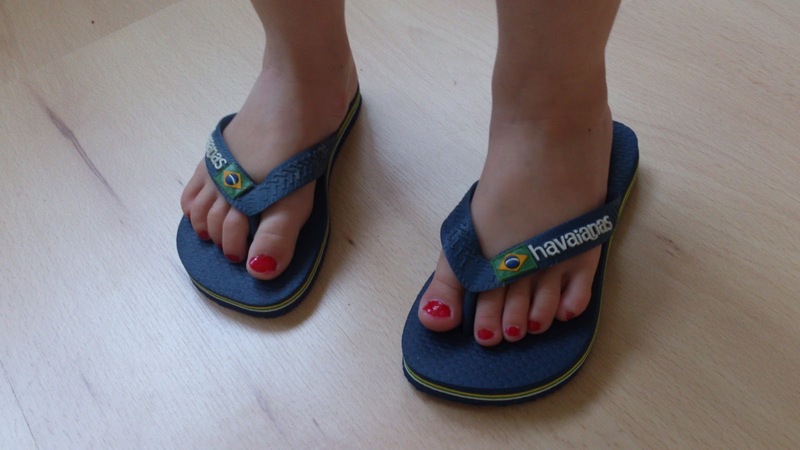 Wat zie ik op de foto's een heleboel mooie zelfgemaakte dingen! 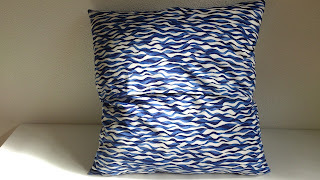 vliegtuigjes, sprei, kussens allemaal passend. Erg leuk! Great work with your patch :D Well done!!! 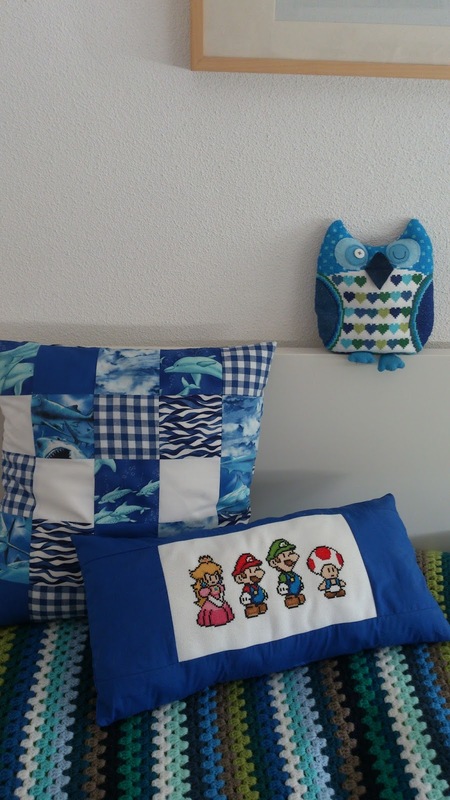 And Super Mario pillow looks adorable, I loved the little princess on the left :) I can imagine that was the first thing Kira noticed too :D hahahahah Well done sweetie! Do you have a straight-edge ruler for your blade? 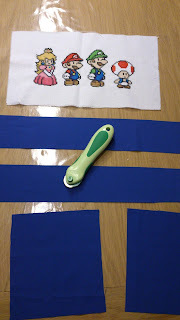 It should be clear so you can see through it and you sandwich your fabric between the cutting mat and the clear ruler and use it to guide the blade. Be very careful! It's SO easy to cut yourself! 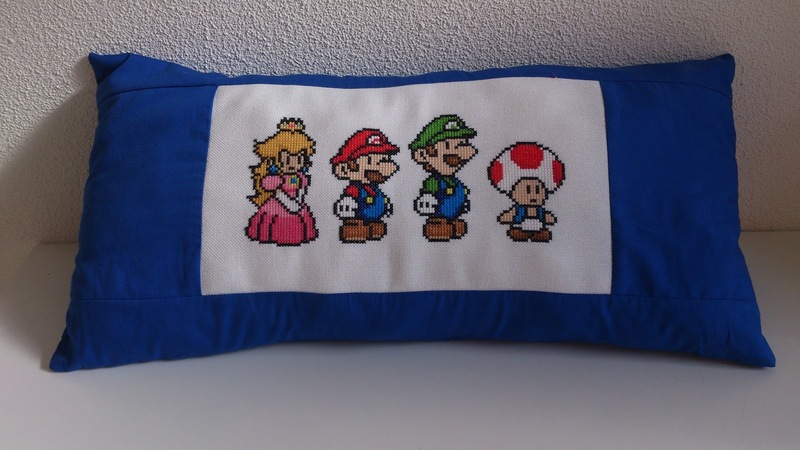 Oh, how sweet is that Super Mario pillow--my sons would have LOVED that when they were young. 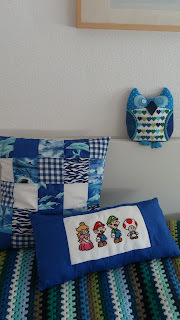 You did a fabulous job on it, Annette, and your first patchwork pillow is wonderful. Noah will be so happy with his gifts...still can't believe he is almost five! 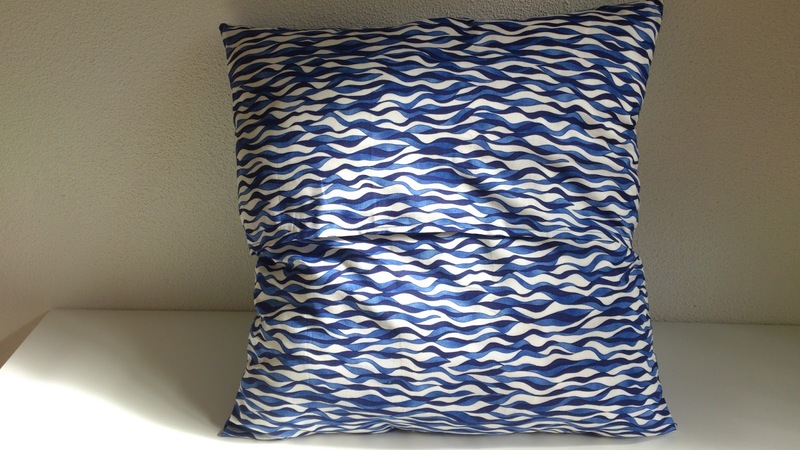 2 great and truly beautiful pillows ! very well done sweetie !! yesterday we had a rainy day but we are now having sun again. on Thursday it was 34° here !!!!!! we had a very good summer ! 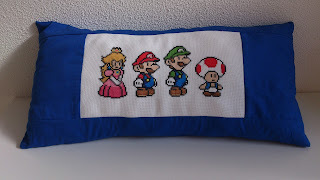 Well done on your stitching and finishing. Oh, wat mooi allemaal, tof hoor. wowwwwwwww so pretty and truly a beautiful finish.. 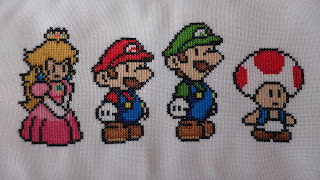 Even I love Super Mario, reminds me of my childhood!!! Noah is gonna love it!!! 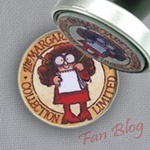 Hi Annette, so sorry it's just now that i came to visit properly...thank you once again for the lovely goodies. I do love them all. 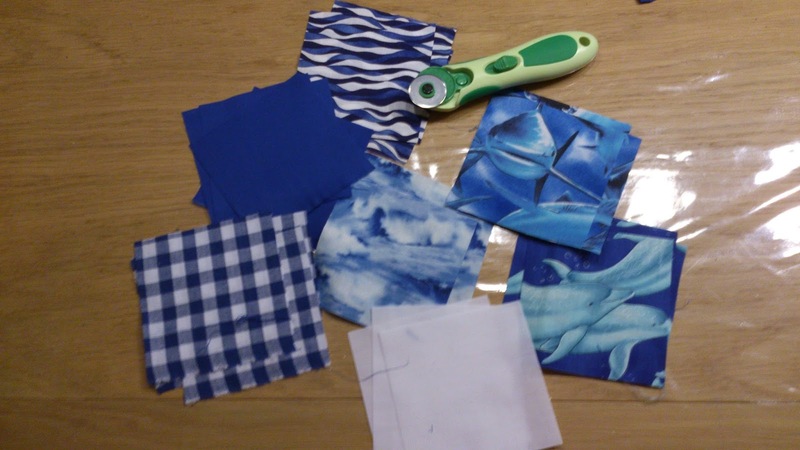 What a lovely blue collections you've made for Noah!